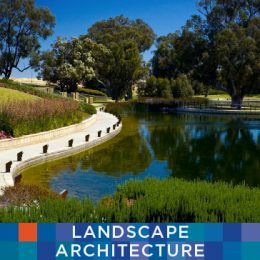 We practice our brand of landscape architecture; a creative professional approach to planning and designing external spaces based on thorough understanding of how the environment works, how people live and what makes each place unique. We plan and design places and spaces that create delight in users. Our work ranges from intimate courtyards to broad sweeping natural landscapes, from bustling streets to major new communities. Our approach to all our work is to have an in-depth understanding of social, environmental and the economic context of a project. We have an emphasis on creating functional, environmentally responsible and attractive solutions to planning and design challenges. Our spaces are not static but are created to evolve and change responding to social and ecological dynamics. Our team interprets data and environmental survey information, applying informed decision making to integrate development and changes in the environment. We aim to provide an innovative holistic frame work to achieve sustainable outcomes. 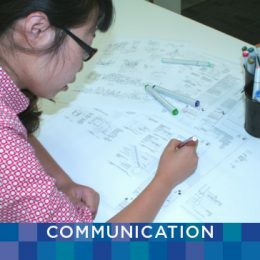 We analyse constraints and prepare designs or planning policy responses to address issues and areas of conflict. EPCΛD creates user friendly environmental management plans and task specifications that can be achieved on the ground. We create good places, new and revitalized urban neighbourhoods. Our designs embrace the massing of buildings, the scale and character of streets and the creation of functioning safe neighbourhoods. Our thinking is multi-dimensional, shaping the form of living and delivering culturally relevant space. Working with communities, developers, authorities and fellow professionals, we create quality urban environments. Our team of urban designers, landscape architects and designers are reshaping urban life, creating places people want to live in, invest in and work in. Resorts are destinations of choice for people to recreate and enjoy. EPCΛD creates places of fun, relaxation and pleasure. Places that meet and exceed the visitors’ expectations. Our designs balance the qualities and demands of the natural environment with contemporary design to create quality leisure and tourism destinations as unique experiences for the visitor. Stunning places, unique experiences. 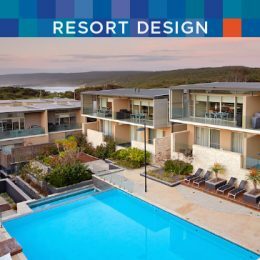 Key to our successful designs is our skills in understanding the potential of a location, its inherent qualities and its environmental constraints and opportunities. Combined with our ability to work in close collaboration with the architect and operator, distinctive destinations of value are delivered. Proposed changes in the environment often cause conflict due to the visual effects. 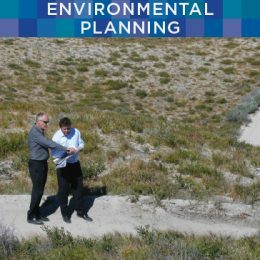 Changes in the landscape need to be understood in order to assess potential responses and ameliorating measures. 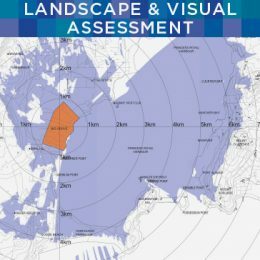 A Landscape and Visual Impact Assessment combines the objective measuring of a change against the sensitivity of the landscape. 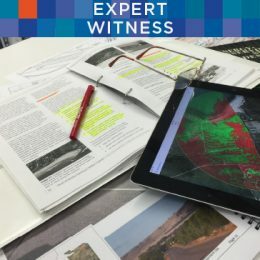 We use computer analysis, site inspection and virtual environments to objectively assess the visual impact. Understanding the character, qualities and values of the landscape determines the sensitivity of that landscape to accommodate change through development. Place making is about achieving a successful balance between the physical attributes, the characteristic social, cultural and economic vitality and inherent spiritual qualities of a place. We consider the sites ‘sense of place’ and refer to the social, cultural, historical and environmental context of the site to consolidate a strong identity and character that is deeply felt by local users but also by visitors. EPCΛD promotes informed design, using a strong collaborative approach to the design of space through working groups and iterative forums. We facilitate desires and visions and transform them to meaningful plans and programs. We understand catalyst interim economic and social uses. We engage in community-based participation capitalizing on a local community’s assets, inspiration, and potential. 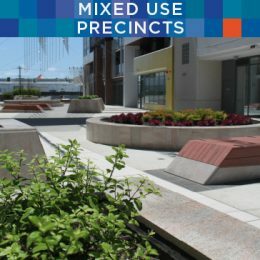 Our experience and training provides an understanding of the psychology of people and how they use spaces: including what makes people walk around a space, what makes them walk across it, the ‘prospect/ refuge’ theory and other behavioural factors, all of which are considered as key to creating successful usable places. Play is the basic enjoyable activity that expands a young humans experience and helps prepare them for life. It hones social and physical skills and is essential for intellectual growth. Play is fun and we like to create fun for people. Play is discovery, exploration, challenge: play is, nature play, imaginative play, active play, play sport, inclusive play. We design for children, learning environments, child development, sensory play. We collaborate, listen and create places of joy. Safe places to explore and develop children’s minds and bodies, structures to challenge, things to provoke the imagination. 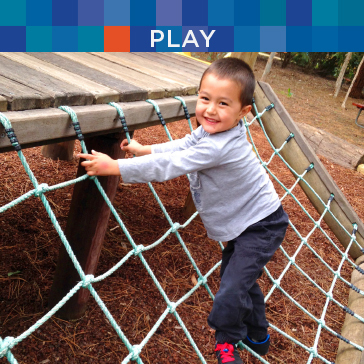 Play is for youth, places to hang out, gather, meet and challenge in an environment that is stimulating. Play is for adults, places to be with family, to interact, to encourage, to watch, to play. 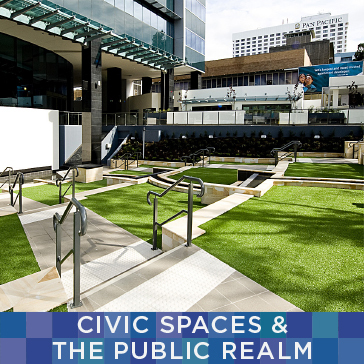 We design town squares, plazas, civic and ceremonial spaces. We design great streets that encourage and accommodate social interaction. 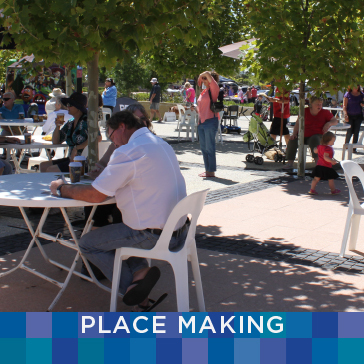 Public spaces are places to meet, engage, congregate and make high quality life in the city possible. 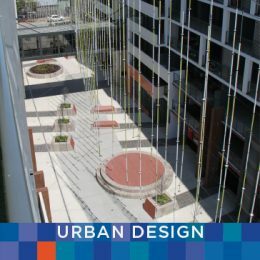 Our designs for urban spaces are based on close working relationships with stakeholders, architects and engineers and a comprehensive understanding of proportion, form, perception and the way that people use space. Wherever we can we facilitate a dialogue with the community enabling spatial activation through consensus of objectives. EPCΛD senior staff are experienced in the preparation and presentation of expert evidence supporting their work. Our thorough approach to projects has been tested in the rigours of Public Inquiry, Tribunals and Planning Appeals and Court. We work with leading lawyers and planners in presenting well balanced, technically sound and well researched opinion and fact to help our clients through challenging legal and statutory processes. We like making places for all creatures big and small. In close collaboration with ecologists and specialists we plan and design rich environments that are integral to balancing change and recreating habitat. 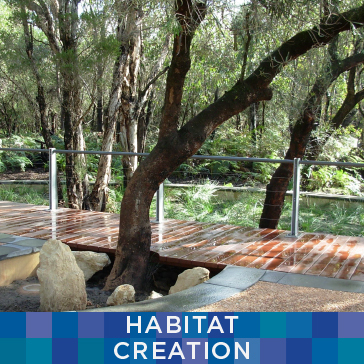 We have produced new wetlands, extensive dunes and evolving woodland. Streams and waterways mature into the corridors of life, supporting our non-human neighbours. 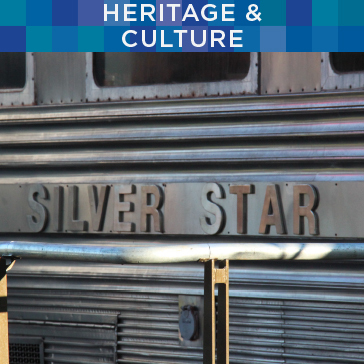 We work to promote and interpret all peoples’ heritage and culture, enriching the patina of our places and spaces. We research, analyse and assess places of significant heritage importance. We have designed heritage precincts and urban redevelopment that respects and reflects the sites history in the public realm. We create places of cultural importance. EPCΛD has a successful track record of working with indigenous groups and reflecting their stories and values within landscapes. All human endeavours have cultural and heritage imperatives; places for cultural performance, places of respect, places of festival and celebration, places of recognition and places of great value. 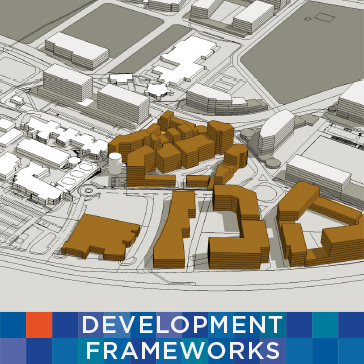 We prepare development frameworks that clearly illustrate the key determining elements of new urban places. 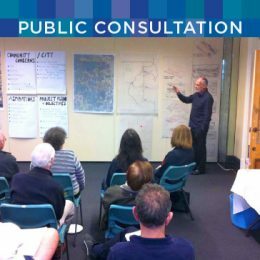 They guide the creation of valued neighbourhoods and precincts through three dimensional massing and circulation models informing strategic decision making and further detailed design. Frameworks combine physical spatial planning with an understanding of social and environmental interactions to create development strategies based on realistic business cases for development projects that are focussed on social, environmental and economic sustainability. 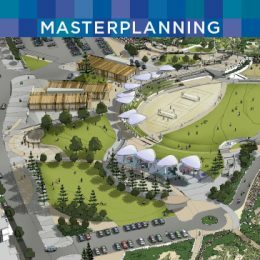 We create masterplans that enable and facilitate major strategic changes to our urban communities, for the green lungs of our cities and towns and for valued landscapes. EPCΛDs approach to masterplanning is collaborative. We work with our clients, co consultants and stakeholders to create plans that guide overall development initiatives and acknowledge the complexities and relationships of diverse uses and communities. We understand the big issues as well as the intimate and how global issues can affect our neighbourhoods and streets. We vision places and plan for change, reflecting local issues, economic uncertainty and climate change resilience. Water is precious. 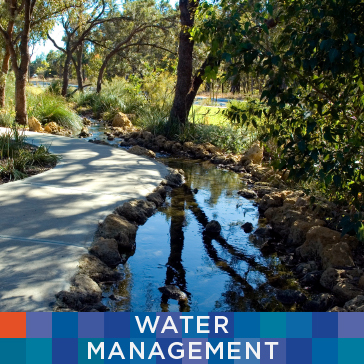 It is the basis of all life and we are proficient in water sensitive design and the integrated management of drainage within the urban landscape. Working closely with engineers we deliver innovative solutions to urban water management. Our expertise has resulted in our designs being formally recognised as best practice and EPCΛD are considered as leaders in water sensitive urban design and drainage integration. Our projects have been published by authorities and used as exemplars in recent industry seminars and briefings. EPCΛD can address water source options using domestic or production bores, but we also have experience in developing wastewater recycling or salt water abstraction initiatives where a traditional water source is not available. In dry climates we are creative with the use of alternative non-irrigated surfaces and passive irrigation, water harvesting combined with discrete storage and infiltration enabling full integration of the requirements of landscape irrigation and engineering drainage effectively. EPCΛD have extensive experience in facilitating workshops, focus groups and consultative stakeholder forums. We manage and contribute to workshops, working groups, community feedback events and government task forces, obtaining views and providing advice with the objective of project enhancement and progress. EPCΛDs senior staff are known for their abilities to engage in meaningful dialogues with diverse stakeholder groups and we are very familiar with the complexities and protocols of working with indigenous people. EPCΛD collaborates with a wide range of artists and creatives. They enrich our thinking, our designs and our lives. We commission works, we create works and we facilitate works. 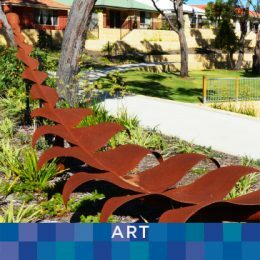 Painting, sculpture, stories and narratives, ephemeral installations of whimsy and signature pieces that become defining elements of a community. Creativity is central to our work and we like to invite others to work with us. All urban landscapes require maintenance and management as they are ever changing and dynamic in nature and continual care is essential in order to realise the sound landscape results as they respond to the pressures of life. EPCΛD develops maintenance procedures, combined with on-site inspections, to take the landscape through the established period. We set up long term management strategies for handover to a managing body, to retain the landscape in optimum health and appearance and to ensure it remains an integral, valuable asset to the community. 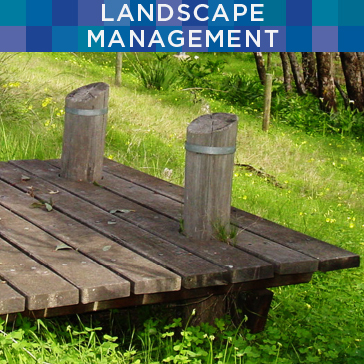 With established natural landscapes, we analyse the land assets and assess the management procedures required to optimise resources that are required to maintain them or to enhance them to meet client and community objectives. These management plans form an important integral part of the early planning stages of projects. EPCΛD works with collaborating scientists and engineers to integrate development within sensitive environments. We assess the environmental data and apply solutions to conserve and manage valued resources whilst balancing the effects of change with innovative design solutions. Visual integration is informed through a thorough analysis of the site and ameliorating site plans, strategic vegetation massing and materials specified to reduce impacts. 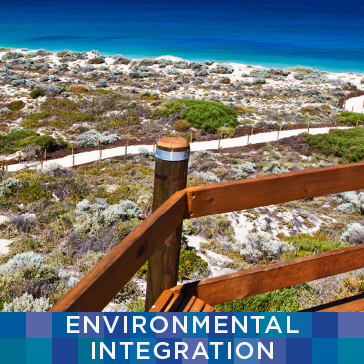 Physical integration is achieved through careful drainage management, groundwater integrity strategies, vegetation retention and recreation of indigenous vegetation complexes. Mixed use development is recognised as the key to vibrant cities and towns. Social and economic life is enriched by an inclusive mix of residential, retail and commercial uses, however the urban fabric of streets and spaces is where the interactions of users combine. EPCΛD works with architects, designers and planners to create enabling, desirable neighbourhoods that facilitate positive social dynamics. EPCΛD interrogates plans to get them right, thinking how the people’s needs and lives interact, how the design delivers tangible places of value to public and private space. As a new generation demands differing life experiences, some of the older urban models of pre-automobile, denser compact, work, rest and play neighbourhoods, are finding a new audience and a contemporary 21st century character. The word is derived from the Latin commūnicāre, to share. EPCΛD understands the need for effective communication. A two-way process of reaching mutual understanding. It is the essence of human interaction and we need to listen and have a creative dialogue. Our interchange of thoughts or information is effected with clarity through talking, writing, drawing and visualising. We do this in a relaxed and professional way with our clients, authorities and communities. We believe that communication at every stage of a project, delivers community understanding and custody. We contribute to seminars, workshops, lectures and conferences. We mentor and impart our knowledge, skills and opinion. Our senior staff participate in industry, professional and community organisations, influencing dialogues outside of direct professional services.